Microdermabrasion gently removes the dull layer of your skin, leaving healthy, beautiful, glowing smooth skin behind. The skilled team of skin care experts at Treuvís Eyes Nails Body Laser Spa in Clinton Township, Michigan, provide personalized microdermabrasion treatments, so you can improve your lackluster dull skin. Book your microdermabrasion appointment either online or over the phone. Microdermabrasion is a deep exfoliation treatment that involves using tiny, rough grains to buff away the surface of your skin. During your treatment, you lie back and relax, while your spa technician glides the small handheld applicator over your skin. Microdermabrasion is often called an “instant face-lift,” simply because you experience an improvement in your skin’s tone and texture almost immediately after your session. This safe and effective treatment is ideal for improving a wide variety of skin issues and concerns. Is there any downtime after microdermabrasion? There is very minimal downtime. If you have more sensitive skin, you might experience a little soreness, swelling, or redness after your microdermabrasion session (not usually), but these side effects will subside within a few hours. How often do I need a microdermabrasion treatment? Your skin cells are continuously turning over and regenerating, and adding routine microdermabrasion treatments into your regular skin care regimen can help your skin continue to look its best. The spa tech staff at Treuvís Eyes Nails Body Laser Spa generally recommend coming in for microdermabrasion sessions at least once a month for your best results, for optimal results follow a microdermabrasion with a spa facial or HydraFacial MD treatment which will increase your results even faster, giving you that fresh, bright and youthful look you’re looking to see. 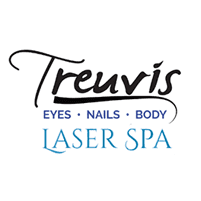 Schedule your microdermabrasion session at Treuvís Eyes Nails Body Laser Spa today. Click on the online booking feature or call the spa directly. 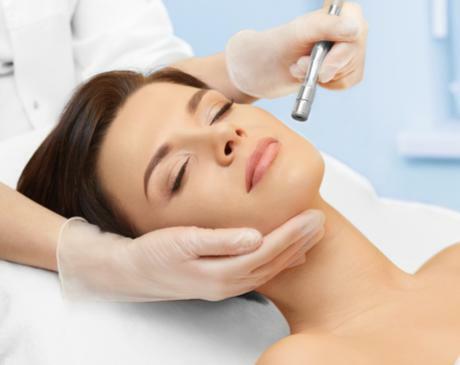 Dermaplaning is an effective and safe exfoliation procedure that uses a sterile surgical scalpel to shave the surface of the skin remove excess dead skin and peach fuzz hairs. The tool is held at a 45-degree angle and is brushed along the skin to remove the hair and skin cells. Dermaplaning is a stand-alone procedure for the facial area only. Your facial will look and feel immediately silky smooth and will also reduce the appearance of acne scars. How often can this procedure be done? Dermaplaning is usually performed every 4-5 weeks after your normal skin completes its natural rejuvenation cycle, about 30 days before having your next dermaplaning treatment done. The procedure generally will remove between 2 to 3 weeks of dead skin cells from the facial area. Clients who suffer from severe acne or have excessive oil should not have dermaplaning performed. Those with acne should avoid this procedure because removing the hair from the facial area, the excess oils on the face may cause bacteria growth which could lead to additional acne breakouts. You will have smoother softer skin, which will allow a smoother makeup application and absorption of skin care products.